HIGH POINT—Two men of Immaculate Conception parish, Bangall, climb high to position the crucifix in its proper place in St. Mary’s parish hall. Faced with the imminent closure of their church building, parishioners of Immaculate Conception in Bangall got busy in a hurry last month. Father William White, administrator of the Dutchess County parish, had received word from the archdiocese Dec. 13 that the church building was to be closed immediately. 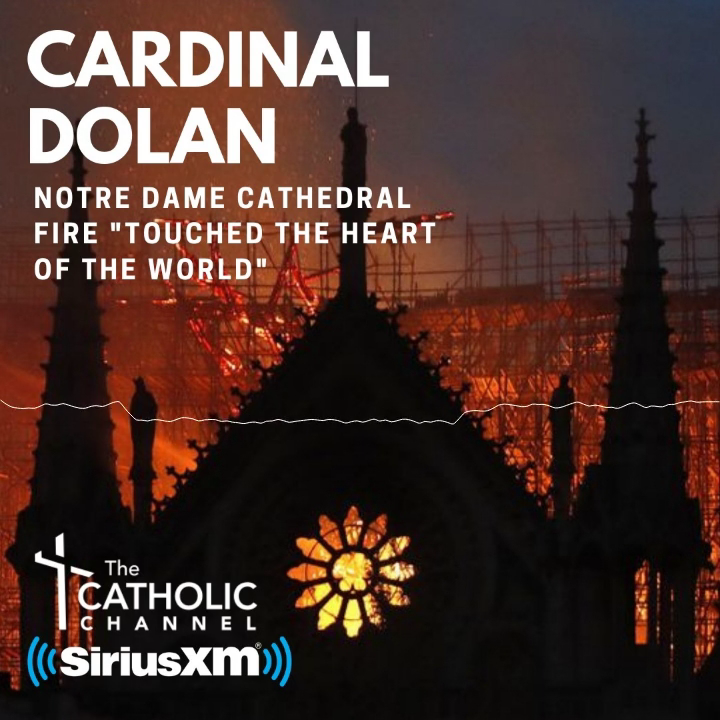 The decision, confirmed in a letter Father White soon received from Cardinal Dolan, cited the church building’s deteriorating physical condition as illustrated in several engineering studies. The prospect of severe winter weather shortly to come also threatened the structure’s roof. Less than a week later, some 40 members of the small, tightly knit parish community met with Auxiliary Bishop Dominick J. Lagonegro, episcopal vicar for the archdiocese’s northern counties; Father White; and Father John Bida, the parish’s parochial vicar, to see what kind of plan they could mount for continued worship. After much discussion, all parties agreed that daily and weekend Masses would be offered, at least for the immediate future, at St. Mary’s parish hall, located about one-third of a mile from Immaculate Conception Church on Hunns Lake Road. That meeting took place on the evening of Dec. 19, less than a week before Christmas. Bishop Lagonegro graciously offered to celebrate Mass at St. Mary’s parish hall on Christmas Day. In the meantime, there was the matter of moving the liturgical and other contents of Immaculate Conception Church in time for the vigil Mass on Saturday, Dec. 21. That morning, about a dozen people came out at 6:30 a.m. to help with the move, according to longtime parishioner Lisa Shay. They loaded pickup trucks and minivans and in one case a trailer for delivery to the parish hall. They even moved the church’s organ. A little later, another group of folks showed up to place the altar and the tabernacle according to a floor plan drawn up in a PowerPoint display. Soon the Stations of the Cross were hung, and decorations of the season, such as a beautiful manger scene once so at home in the parish church, gave rise to bright feelings. Ms. Shay, a U.S. Army colonel who teaches electrical engineering at West Point, said the people just kept coming. It was estimated that about half the parish turned out that day. The first thing almost everyone said was, “What can I do to help?” Ms. Shay said. They worked right up until about 3 o’clock, finishing in more than enough time for the 5 p.m. Mass to be celebrated. It was a great achievement, but the crowning glory was to have the hall filled to capacity for Mass on Christmas Eve and then to welcome Bishop Lagonegro as the celebrant of the 10:30 a.m. Mass on Christmas morning. “They are a close, good group of hard-working people,” the bishop told me in an interview Tuesday morning. “The celebration of Mass on Christmas was a great experience for me,” the bishop added, noting that the parishioners’ spirit, faith and love for God, the Church and each other was very apparent. Father White said his parishioners were challenged, affirmed and maybe even a little surprised by all they had been able to accomplish. “In a situation of adversity, it reveals to the people what they are capable of,” he said. The experience also offered a lesson of faith to the parish faithful. “There is no Easter Sunday without Good Friday,” he explained. That lesson wasn’t lost on Ms. Shay and the other parishioners of Immaculate Conception.